This is a true story about coping with my beloved wife’s devastating diagnosis of Alzheimer’s disease (AD), the terrible scourge of our age. In general, people are living longer and diseases of the aged are becoming more prevalent. The major neurological disease of the aged is in fact AD. There have been many excellent books and descriptions of AD and its ravages upon the minds and lives of people, so why write another account? Whenever a person is diagnosed with AD, their spouse automatically becomes their primary carer and unwittingly also becomes a prisoner of the disease. Each case of AD is unique and two novel aspects of this account are: (i) the focus on the way that AD imprisons both the patient and their spouse in a constant process of deterioration, and (ii) the inclusion of an almost daily journal describing raw incidents that can be enlightening for the reader, and especially for the spouse of an AD sufferer. This illustrates the vicissitudes and the almost total preoccupation that this disease encompasses. The author hopes that his particular take on his predicament as a spouse of an AD patient can help those who are dealing with this situation or who may have to do so in the future. It illustrates how the initial shock of the situation gives way to the realization that one has to learn to deal with it, and finally the acceptance that must come with time and experience. How to describe memory? It’s like a landscape where snow has fallen. At first the surface is white and pristine. But as time goes by people trudge across the field and leave footprints. Then a cart goes by leaving parallel tracks, and then a car drives along the lane, leaving tire marks. Then the scene gets busier, children on bikes on the way to school or to play leave their tire tracks and women going shopping and so on, until the surface is criss-crossed with memories of what had happened. The analogy for Alzheimer’s disease is that all the tracks get inter-twined and mixed up and confusing, and then it all starts to melt! We live on Planet Alz, which is a different planet to earth. You may think when you see us walking down the street that we look normal, but we are not, we are actually on a different planet. On our planet the normal rules do not apply. Everything is unpredictable, anything can happen at any moment. 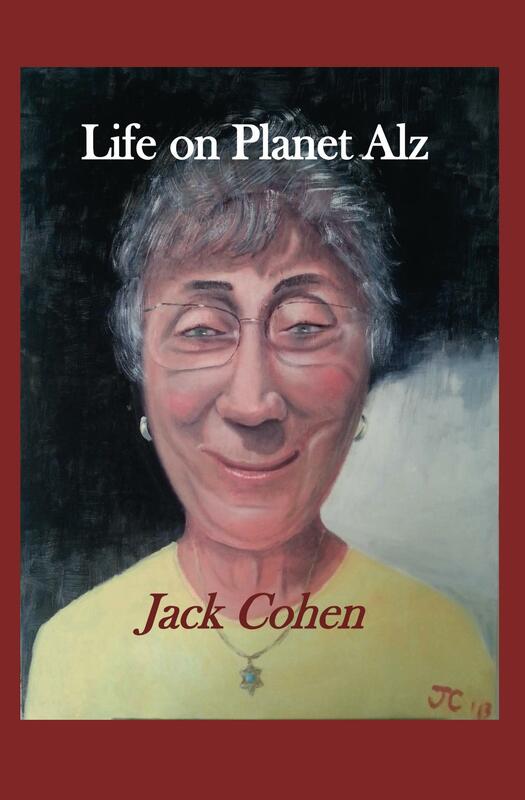 To order copies of "Life on Planet Alz" go to Amazon.com and search for "Life on Planet Alz Jack Cohen"